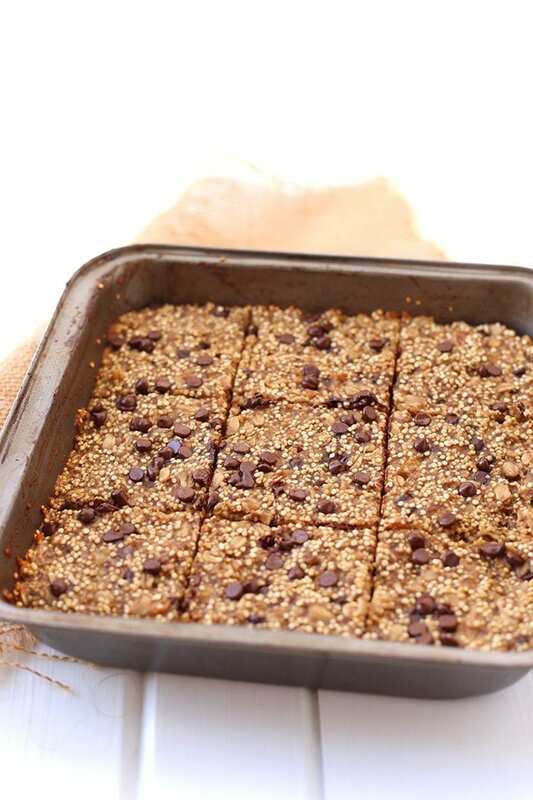 Get your quinoa first thing in the morning with these Banana Quinoa Breakfast Bars. An easy, make-ahead breakfast that is vegan, refined-sugar-free and absolutely delicious. Something I never anticipated when I started this blog was that I’d have to develop a pretty thick skin when it comes to hearing feedback. Truthfully, I’ve got it easy when it comes to criticism (I have blogger friends who are basically cyber-bullied), but when you opt to put your life and your creations on the internet, the trolls or just really mean people will find you. People would ask me what the meanest things were that people have said to me and for the longest time I never really had a response. One time someone tried to tell me U of T was better than McGill (ummmmm no.) but that was the worst of it. But then I experienced a post going viral and all of that changed. So we’re not just gonna take about these banana bars today, okay? When a post or really anything of yours goes viral, you’re going to attract attention from haters. I’ve gotten personal attacks on my character, my diet choices and perhaps most commonly, my recipes. No matter how many times you test your recipes, there will always be that vocal person who insists on telling you how much they hate it. I welcome any and all feedback, but when you’re just straight-up rude you don’t warrant a response. For the longest time I held onto these comments. I would ruminate on them and insist on finding out what went wrong in the process (because 95% of the time they tried to substitute half the recipe and it failed), but I’ve now learned to let them go. There was a point in time when I chose not to post anything baked because inevitably there would be a comment or 10 about how much someone hated the recipe. I should add that these are almost always overwhelmed by comments from people who LOVED the recipe, but it’s easy to focus on the hate. What I’ve come to understand is that everyone goes into a recipe (and especially baked goods!) with a different set of tools, skills and expectations. We have different ovens, different altitudes, different ingredients, different abilities to read directions (arghhhhh) and most notably, different tastebuds. When I label something as “healthy” I anticipate that most people know it won’t taste like a sugar and butter-filled Betty Crocker brownie, but apparently this is a bit presumptuous. But if I let every comment affect me, we wouldn’t be here, would we? 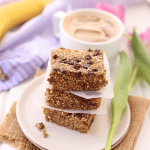 So yeah, these banana quinoa breakfast bars have quinoa in them, and they’re vegan and they taste nothing like a slice of starbucks banana bread. But they’re also made with love and care for my mind, body and soul. Haters gon hate. I’ll be over in the corner eating my banana bars and scheming about taking over the world. 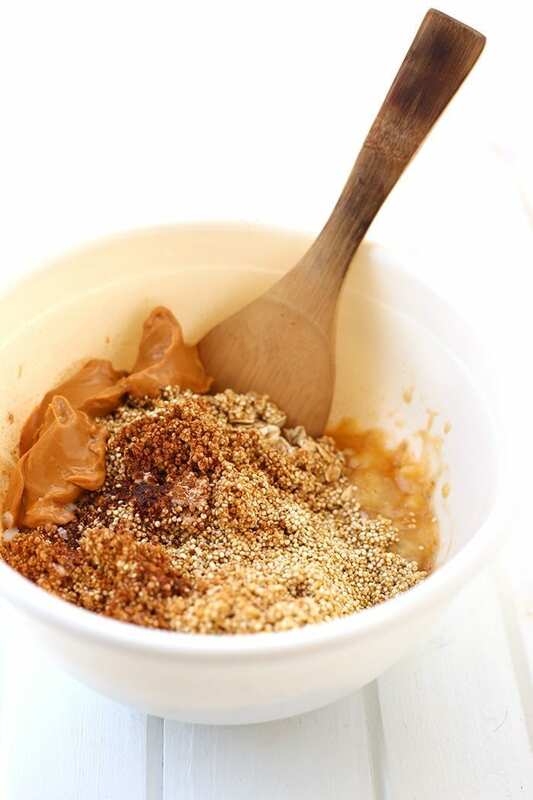 In a large bowl combine rolled oats, quinoa, baking powder, cinnamon and salt. Add in bananas, flax, peanut butter, coconut oil and maple syrup. Stir until well-combined. Let batter sit for 10 mins to let flax absorb some liquid. Add batter to baking dish and spread out evenly. Bake for 25 mins or until edges are crisp and center is cooked through. Let sit for 20 mins before cutting into 9-12 squares and allow to cool completely. Store in an airtight container for up to 3 days or freeze for longer. Hi Davida! I just wanted to say that I always love your unique recipes! 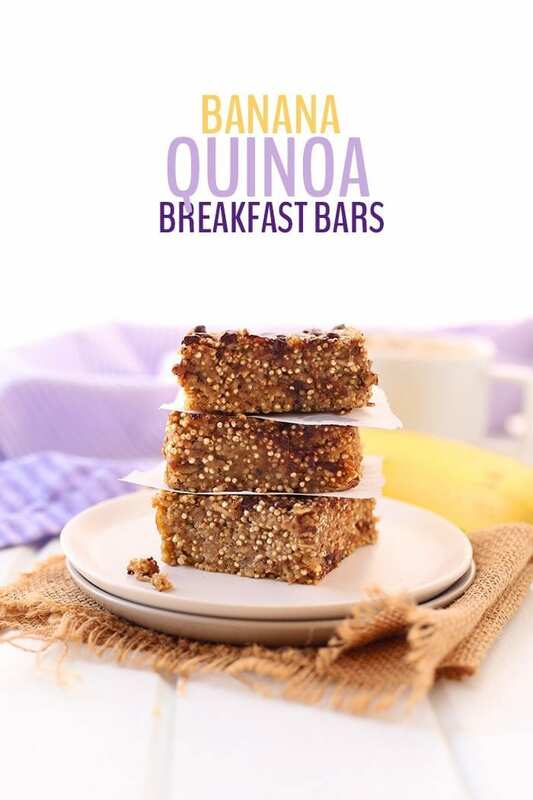 These breakfast bars looks fantastic and I was wondering, did you find that the quinoa absorbed the liquid and became softer like cooked quinoa or did it give the bars a little bit of crunchy texture like uncooked quinoa? Thanks! Thanks so much, Jillian! The texture is somewhere in between. Definitely still some crunch (which I like) but the quinoa also absorbs some of the liquid. I love your recipes! I totally understand the cowardly keyboard bullies coming forward, as I have a YouTube channel. People would comment on EVERYTHING trying to tear me down. Put downs about my body, me in general, etc. 99.9% of these people wouldn’t have the courage to say this to your face. I realized that bottom line – people throw rocks at things that shine! That ALWAYS comes from an inner lack of security and self-confidence, and has absolutely nothing to do with you! So, keep bringing your bright ideas to the world 🙂 I’m grateful for you taking the time and sticking your neck out to do this! You have a talent that helps many others! God bless! I’m so excited to try this recipe! Thanks for sharing. I completely feel you in regard to the negative comments. 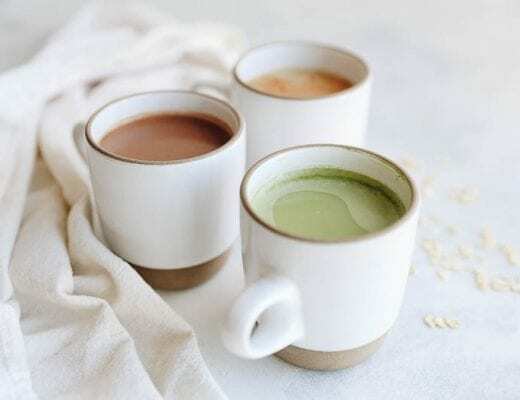 I just started a new business and there are several people who have been commenting negative remarks on our page and they haven’t even tried our product! I’ve been obsessing about them for a little bit and finally decided to remove them from our page. They aren’t valuable feedback as they did not even try the product. I am so with you on the rude comments. I have people say they didn’t like a recipe and they tell me all the subsititutions they made. It’s not even the same recipe! I love your recipes and I also know that healthy recipes taste a bit different when they aren’t full of preservatives. They aren’t meant to taste the same. Stick to your guns and keep cranking out these delicious healthy recipes! These look yummy! Yes please post more recipes! And ignore the haters. I’ve come to a point in my life where I’ve realized that some people just like to be miserable. Keep doing what you’re doing …. Being a blogger you are always going to deal with rude obnoxious people … It’s part of the job. Just ignore them and soldier on !!!! I enjoy your recipes. Amen! Will keep on, keeping on 😉 Thanks, Donna! ahhhh the best! My Dad’s favorite too 🙂 Thanks so much, Diana! i have yet to encounter some real trolls in my blogging journey, and I can pretty much say that I carry on some of the thickest skin I know. I really don’t give a flying sh*t about what others think of me. If they criticize me while I’m just being myself and not hurting anybody, then it’s their problem, NOT mine. I do think that sometimes it’s easier said than done but you really have to learn to not let people who don’t know you in real life get to you. Even toxic people in your actual social realm have to be eliminated, ignored or dealt with too. I love your blog, your recipes and hearing about your life! I hope you don’t stop. Never 😉 Thanks for the support, Toni! I’ve never understood why so many people feel the need to write nasty comments on the internet. I find it especially ridiculous when they write awful things on cooking and baking blogs. If a recipe doesn’t work for you, there is a way to be tactful and polite about it. Your recipes are great (hello energy balls! ), so I wouldn’t worry about the haters. It’s so true. Definitely made me more resilient! But also opened up my eyes to a whole new subset of humanity haha. Thanks for the support, gorgeous! Thank you for the recipe… just made them and they were just want I was looking for! Keep up the good work!!! This looks amazing! I am SO making this!!! Thanks Davida! These look delicious! I happen to have cooked quinoa in my fridge, could you use that instead of raw? I wouldn’t recommend it as the uncooked quinoa absorbs more liquid, but if you’re interested in playing around I’d be curious the hear your result! Thank you so much for your quick reply! I can easily use the uncooked quinoa too! I would be very interested to know how the cooked quinoa turned out in this as I too prefer the chewy texture of quinoa rather than crunchy! am also going to check out the Avocado Muffins! i’ve been pretty lucky to, to not have to deal with many haters or mean comments. considering i post photos of myself 9 times out of 10, i’m reallyyyy surprised to not have gotten worse. i will never understand how peoples minds work, and how they can be so cruel online. i could go ON AND ON about how much i hate bullying, but i’m gonna furrrget about it and let you know that these bars look AMAZING. def gonna try them soon (or just come over and steal em). After reading your post I knew I had to make these ASAP. They are so good! I baked mine in a 8×8 inch baking dish and it took a bit longer to bake. Perfect afternoon snack. wonderful! So glad you enjoyed! PREACH x 100000000 + 2. It’s taken time but slowly, easier to shake it off and put them in thw 1-2% pile VS the 98% who make things successfully. (Or don’t sub oats or flour for watermelon). I still need to play around more with quinoa- These look awesome, D! I love quinoa and in a baked form even better. I bake every Monday and so ill be making this exactly. Thanks Felicia! Hope you enjoyed! Cooking and eating is very subjective, not only are our personal tastes very different, but as you said our materials and tools may vary and these can greatly affect the outcome. Cooking and baking is all about experimenting, and in my book that may result in some fails as well. But without fails we woudln’t learn what to change or avoid (or grow to like!). I also love reading when Lee posts on FB some of those awfully rude comments she gets, because they are ridiculous either because they didn’t even make HER recipe (dubstituting some crucial ingredients) or because they are downright absurd, so rude and completely raging. YOU ARE THE BEST!!! I hope one day an ocean doesn’t separate us and we can finally meet!!! Thanks for being unconditionally supportive! So much love for ya! I’ve had one of my IRL friends (not a blogger or foodie) tell me that one of my pics looked disgusting (it was the chickpea salad, obvs) my sister HATED one of my recipes that she made. At first, I was so offended and hurt and questioned my qualifications for sharing recipes on my blog. But honestly, like you said, we all have different tastes. I share things I actually enjoy eating and that has to be good enough for me. A to the MEN sista! It’s our blog…our rules! Made this about 5 minutes after seeing the recipe! So amazing! Thank you – a new favorite! Ignore the haters, Davida. Ain’t nobody got time for that! Focus on positive vibes only. I love your recipes and your snaps! And I would love to see more baking from you! Why do you rinse quinoa? I tried once and it was a big ol mess. Can you tell me the best way? quinoa is coated in a substance called saponin which makes it taste a bit soapy. Rinsing it gets rid of that taste. I use a fine-mesh strainer. Makes the process super easy. LOVED your story. Bloggers definitely need thick skin! And yes, you should definitely do more baking recipes! We recently went GF & DF, and it’s been so hard to find breakfasts my kids will eat. Since we’ve been cutting back on processes sugar, my guess is theses will be plenty sweet to entice them into believing that mom is letting them have dessert for breakfast! Can’t wait to try it! hope they turned out! Definitely keep me posted as I’m sure others who want to make substitutions would find your feedback helpful! Hey Davida, thanks for posting some nice recipes here us all to use. A lot of these ingredients are new to myself and my eating habits, and am trying to learn to incorporate them more. I am 36 and was just diagnosed with type 2 diabetes. Now I am starting to suffer when my blood sugar spikes up. I have been making and eating your steel cut granola for breakfast for the past couple weeks and it has been helping control my levels. It is also very tasty. I made these bad boys yesterday. Didn’t have maple syrup, had to use honey. Added peanuts, I like peanuts. These bars were tasty. I have one serious concern though. You have made peanut and banana bars, and have nowhere made any type of Elvis reference. hahaha you’re so right, Stephen. How did I miss Elvis?! Glad you’ve been enjoying the recipes. Let me know if you’re looking for a specific recipe and I’m always happy to jump into the kitchen and get creative! Hi! This recipe looks wonderful, I am looking forward to trying it. How many servings do you get with the recipe? I am trying to figure out the calories per serving. Thanks! I am from France and I tested your recipe a few days ago, it was very good ! I liked it for my breakfast, and I like the fact that this cake is very healthy thanks to the quinoa. Thanks for sharing, and congrats for your lovely blog. I was inspired to make these immediately – they are in the oven now! 🙂 Judging from the flavor of the pre-baked mix, I’m gonna really happy shortly. Thanks for sharing this lovely recipe, and your resilient attitude. Yup, haters gon hate, but keep on keeping on, doing your thing. Nice work! Hope you enjoyed them, Ann!! Hi I’m wondering if you can substitute honey for maple syrup? And if so, is it 1:1 ratio or should I change the amount I put in? Thanks. hola davida ! i’m new to your blog and i’m already obsessed ! i love it !!! all these healthy recipes make me happy to see that all healthy food can taste good. i haven’t made this recipe yet but i was just wondering do i have to use the baking powder ? i don’t have any ): and i also just wanted to let you know that regardless of all these people judging you, you’re amazing at what you do and you shouldn’t stop. you’ll never be able to please everyone, so do what you do best ! Aw thank you lovely! So sweet of you to say! I would recommend the baking powder. They help to make them rise so they aren’t too dense but you should be okay without it. The texture may just be slightly different! Hi! Looks delish. Thoughts on adding protein powder to this? Thanks in advance! Should be just fine! I wouldn’t add more than a scoop or two though. Let me know how it works out! Now this is an interesting one. I’ve made something similar but using quinoa leftovers. I am trying your version for sure, so curious about the texture of these. I’m a new reader and I must say I find you very inspiring, I really appreciate the way you think out of the box! So glad I discovered your blog! Aw thank you, lovely! I hope you enjoy the recipe and I so appreciate the support! This looks like a great recipe and I just wanted to see if i had to use white quinoa specifically. I only have red quinoa. I look forward to making this, and if I can do so earlier without going to the store, that’d be awesome! Thanks in advance! Thank you for the recipe and ignore the haters! So awesome! I’m glad you enjoyed!! YUM!! Just made these for a pre-workout snack. Delicious, nutritious, and love the texture and bite to them. 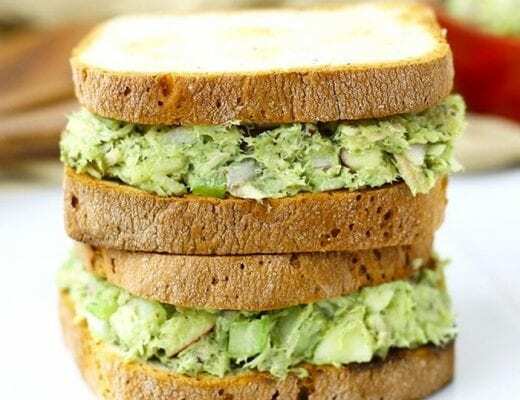 Will definitely be adding this to my go-to make ahead snack recipes. This sounds so good, what you can add to it is endless. Next week this will be made, might add chai seeds and nuts, what do you think? Hi! I am about to make these and was wondering what I could substitute the coconut oil for or can I just opt to leave it out? I don’t have any on hand and I live 30 minutes to the nearest grocery! Please help, I would love to try these for breakfast. Any kind of oil or butter would make a great substitute! Otherwise you can try substituting with applesauce but it will definitely affect the texture and taste. Let me know how it turns out! about this issue. I love all of the points you’ve made. I made your triple berry baked oatmeal the other night. Just fantastic! I’m sure it’ll become a staple in my kitchen. I’m planning on making these breakfast bars very soon. Thank you for coming up with all of these healthy and delicious recipes. I used to allow people’s comments get the better of me and it’s still a work it progress because frankly, sometimes they still do. Words matter! Through experience and counselling, I’ve learned that the ways people treat or speak to others is truly a reflection of themselves. I know this is a colloquial saying but it’s so damn true! Keep rocking, Davida! Looking forward to making these but I do have one question. 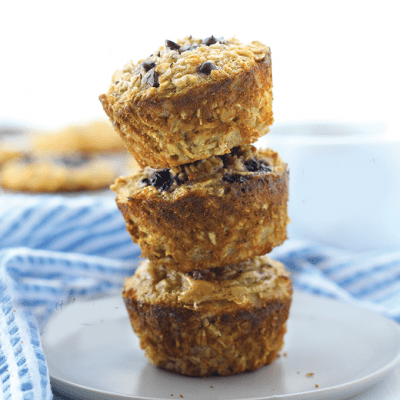 Can I make these with organic steel cut oats? I was thinking of pre-cooking the steel cut before making the bars in order to avoid a raw oats taste. Any thoughts? I haven’t tried it myself but it may work out! Would love to hear how it turns out if you try it! Would it be possible to leave the flax seeds out? Or substitute them with chia seeds? Sorry for the delayed response! Wouldn’t recommend it. The flax helps to bind things together. They may work out without it but haven’t tried it myself! Hi! I just wanted to thank you for this great recipe! I made your banana quinoa bars last night. They turned out great! I added in a bit of unsweetened coconut and less than half a cup of frozen blueberries as my husband doesn’t appreciate chocolate chips…anyway, he said they were the best healthy square I have ever made and he ate 2 right away! Aw so happy to hear that!! I love this recipe! I made it last weekend and shared with some friends. I was wondering if you have an idea of the calorie count? I also made these immediately after I found the recipe! I forgot to rinse the quinoa (oops), but they taste great regardless! I also don’t have a 9×9 baking pan (so sad), so I used muffin trays and reduced baking time to about 15 mins. I added the chocolate chips and LOVE them. This will definitely be a part of my weekly prep! Thanks for the recipe! So happy to hear that and that you were able to make the changes you needed. Glad you enjoyed! These were so delicious and easy to make! Thanks for sharing. Amazing! So happy you enjoyed, Carina! I absolutely LOVED this recipe! Added some chopped walnuts and blueberries (on deprecate ocasions) and it turned out amazingly!! Is there any way to find out how many calories are in the original recipe? I just made these bars, and they are AMAZZZZING!! Thanks for the recipe!! I added dark chocolate chips and raisins to mine!! Looking forward to trying more of your recipes! Beloved Healthy Maven. I love your recipes, and use many of them frequently. Your healthy, but balanced perspective on nutrition is welcome and genuine. Thanks for this. My only “wish” would be nutritional information to accompany the recipes. Any chance of adding this? you rock. Don’t go changing. 1/4 c chocolate chips with 1/2 tsp coconut oil and drizzled on the bars once they had cooled slightly. Awesome! Thanks for your feedback, Bree! I have a nut allergy what can I substitute the butter for instead? I really want to try this as they look scrumptious! Your recipes look great. Was wondering if you also include the nutritional information? Thank you! Hi, I just looked up the nutritional info for the bars. Logged on MyFitnessPal so it might not be the most accurate. I did 10 servings for smaller snacks throughout the day. And the PB I used was homemade with only peanuts so it had no added sugar. Just tried these – super good! Didn’t have flax seed, so I subbed in some ground almonds and hemp seeds. Also added some carob powder to give it more of a “chocolately” taste and some chia seeds. Turned out great even with the substitutions. Glad I found something I could eat after I found out I couldn’t eat clif bars anymore due to an allergy! So I made these last night, and had for breakfast. I had quinoa on hand but had no idea how to prepare it in a way that i actually liked. It was super easy to make. The quinoa bars were soft with an added crunch and the taste of banana and peanut butter was subtle. They were slightly spongy. The vegan chocolate chips made it even better. Will be making these again. Thank you. Do you have an estimate of the nutritional info? If freezing, what is the best way to defrost them? I love how flexible this recipe is. I was able to switch the banana puree for pumpkin puree and I made them pumpkin spice flavored (basic I know haha). Added in some chopped dates and pecans and they are so good! These look great! I’m so excited to make these. I was just wondering if you had any idea on the nutritional value part? Cals, carbs? I found you on Pinterest and I’m glad I did. These bars look amazing! And what’s even better is I have all the ingredients. Thanks for posting! Hi! I Just baked this great bars for the second time and I can’t wait to breakfast! Might take one later for a quick and delicious snack before going to bed.😀 I forgot to rinse the quinoa tough. Hope the taste won’t be altered. Well, I am sure my 3 kids will enjoy the anyway. Thank you so much for sharing this awesome recipe! I love this recipe! I’ve made the recipe a few times, and they’re great for grab and go breakfasts for busy college students like me 🙂 I’ve found that if don’t have an easy breakfast option, I don’t end up eating breakfast. These are the perfect fix for that! I usually make them in a muffin pan so that it’s even easier to cleanup and portion out. I’m so happy to hear that, lovely! Enjoy! This is exactly me. I’m in classes from 8am to 5pm with barely a break on Mondays and because it’s mostly lab time I don’t want anything bulky. These work perfectly for between those breaks to keep me going until dinner time. I have just made these with personal add-ins. I was eating the mixture before it was even cooked. They are amazing. Some vegan friends were discussing with me the difficulty of giving up cake (their non-vegan weakness). I think this would be an amazing alternative. Soooo good! I added cacao powder to mine! Should be totally fine! Just make sure you cook according to instructions to make sure the quinoa is fully cooked before baking! yes! should be totally fine! Just made these for the first time for my family and they were amazing!! Thank you for making such a great easy recipe that tastes amazing! I have extra thick rolled oats. Could these be substituted? Question: Would TruRoots sprouted quinoa work as a sub? I liked the taste of these but after eating 2 days in a row I was in intestinal distress. A quick Google search yields that quinoa should not be consumed raw unless sprouted first. At least I know for the future. I can’t eat oats at all- what can I substitute with? I have been eating these everyday for breakfast for the past 6 months or so!!! I make a batch, cut into 12 pieces & freeze. I especially like to eat them frozen with my cup of coffee. I don’t see any liquid in the ingredients. Sorry to hear about the haters. I know how it can feel. Unable to find white quinoa seeds here. Is it okay to use the black? should be okay! Just make sure it’s fully cooked through! i made them exactly like the recipe said. i thought they were good. i have to remind myself that this is this is the way real food tastes. i get tired of the food at the stores and enjoy making my own when i can. my family doesn’t usually like different things so i have to eat my own cooking, which is ok. I can’t wait to try this recipe tonight after work – it is right up my alley. I dislike processed food and welcome recipes like this and I am so glad I found your site today. I have to chuckle about feedback on websites that share recipes. Inevitably, there are those that trash recipes – “I followed this recipe exactly as written and it was terrible” – when I see comments like this I think those people must be really bad cooks, especially if they are making soups or stews or casseroles. If you can’t take a recipe that isn’t baking (eg. doesn’t require exact measurements) and make it taste good you’ve got a lot to learn! I cook a lot and have never made anything that tastes terrible. Anyhow I look forward to reading more of your blog/site, fellow Canadian!!! Peace! So good! I love the unique texture & have been enjoying these for breakfast every day. I followed another fan’s suggestion and keep individually wrapped in the freezer. They thaw very quickly & are so yummy w/ coffee. Delicious way to enjoy whole grains. Thank you for the recipe!